The following essay was presented at the The Future of Music History, International Conference, Serbian Academy of Sciences and Arts, Belgrade, 28-30 September 2017. The new institutionalism in sociological analysis of organizations strives not only to reveal the way human beings are under obligations to comply with rules and regulations, but also to show how an institution encourages actions that appear to be voluntary, self-governing, or taken for granted. The music hall in nineteenth-century Britain offers an example of a cultural institution that was governed by legal measures and in-house regulations, but in which unscripted codes of behaviour also came into play. Its organizational dynamics, its routines, classifications, and ambiguous goals, make it a ripe subject for an investigation guided by the shifts in emphases that have characterized the methodology of new institutional research (see Powell and Di Maggio, 1991: 13). At times, the performers or audience were under coercion to act in a certain way, but at other times constraints on behaviour were more indirect, because the music hall created common understanding of what was acceptable or respectable. There is, however, a further complication to consider: sometimes insider notions of what is normative or appropriate come into conflict with outsider concerns about music-hall behaviour. These various pressures are examined in the context of rowdiness, drunkenness, obscenity, prostitution, and aggressive nationalism. 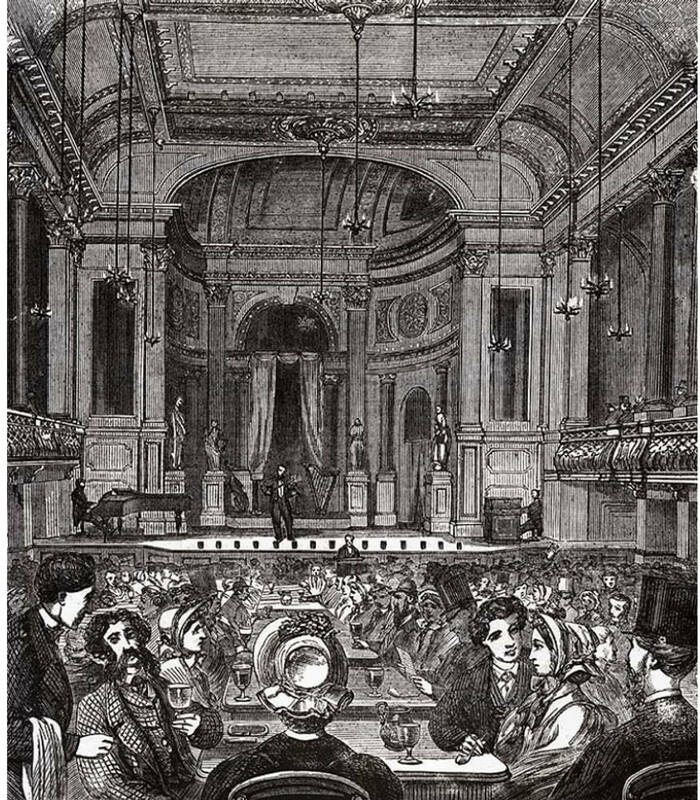 The UK’s Theatres Act of 1843 (which lasted until 1968) allowed local authorities to grant licences for popular entertainments, such as took place in saloons and pubs. Those entertainments developed into music hall, and this accounts for London County Council’s jurisdiction over their premises. The Lord Chamberlain, however, retained control of theatres of spoken drama, and continued to censor plays before their production. Some of the rules that music halls had to follow were not imposed primarily for moral reasons or for reasons linked to conventional ideas of criminality. For example, it was a contentious issue how long a sketch could be in a venue licenced as a music hall or theatre of varieties, rather than a legitimate theatre. The spoken drama was prohibited at music halls, because the legitimate theatre was its home. A problem arose in the 1880s, however, about the duration a comic sketch might have before it was considered a play. Sketches were becoming longer, but overstepping the mark was by consensus rather than a law demanding strictly that a sketch should not exceed a duration of ten minutes. However, although stretching a sketch to fifteen minutes might be tolerated, this flexible attitude was being severely tested in the 1890s, as sketches began to expand further. The problem was not resolved until 1912, when the Lord Chamberlain insisted that, for every sketch, there must be six other variety turns on the bill (see Russell 1996: 69). Outsider concerns about the morality of the halls were strongly expressed in the 1890s by Mrs Ormistion Chant and others, who were scornfully labelled “prudes on the prowl,” a phrase was coined by Clement Scott of the Daily Telegraph (Short 1951: 212). The Empire Theatre of Varieties in Leicester Square had a spacious promenade at the back of the dress circle which, in the 1890s, became a focus of moral anxiety about prostitutes and young men of the town. A screen was erected to allay some of these concerns, but it was torn down by a group of young men and deposited in pieces outside the theatre. It should not be casually assumed that those responsible for this action were members of a disaffected working class; Winston Churchill, who had been born into the aristocratic family of the Dukes of Marlborough, was among them (Short 1951: 212). Changes took place in the auditoriums of music halls, and had an influenced on the behaviour of patrons. Figure 1 shows the interior of the Oxford around 1870, with its apse stage (one that resembles a chapel). Fig. 1: Oxford Music Hall, London, c. 1870. Source: London Theatre Museum collection (wrongly dated as c.1875). Public Domain. When it was rebuilt following a fire in November 1872, it acquired a proscenium, which creating its typical window around the stage. The most significant change, however, was that benches replaced the tables and chairs in the auditorium. In Figure 1, people can be seen eating, drinking, chatting, and even ignoring what is happening on stage, but this now became more difficult. The next step in changing behaviour was to come about when London County Council, which had regulatory responsibility for the halls, began to refuse licences for the consumption of alcoholic drinks in the auditorium of newly built music halls. That was part of a new phase of music hall development that took place in the 1880s and 1890s, as they were turned into theatres of variety. Cultural historian Dave Russell stresses that this change “was not the result of a coherent, planned strategy; individual managers and owners utilized numerous approaches” (1996: 61). Among the external influences on change were increases in disposable income, and increased desire on the part of women to attend theatrical performances. In the 1890s, the entrepreneur-manager George Edwardes had promoted a new genre of musical comedy that was attractive to women who would have harboured doubts about the respectability of music halls. There were legal pressures towards change, too, especially when London County Council showed growing reluctance to grant drink licences in the 1890s. In that decade, Russell estimates that drink sales brought in 15% to 20% of the total takings (1996: 62). Table 1: Music hall programme from the Oxford Music Hall, 18 September 1893. This table drawn from a programme reproduced in Short, 1951: 229. 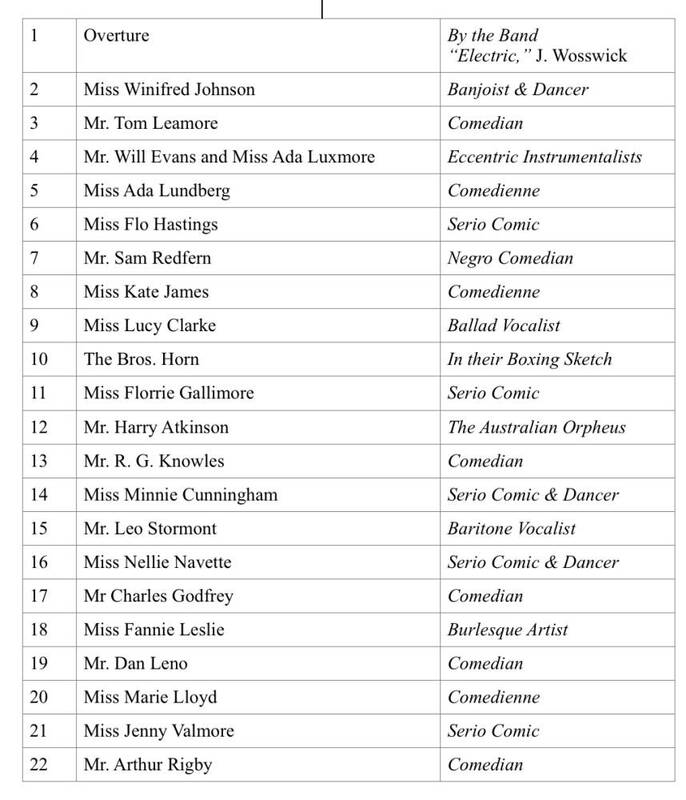 Table 2 immediately below is drawn from a playbill reproduced on the Arthur Lloyd web pages. Table 2 Tivoli Music Hall on the Strand, programme for 2.30 Saturday matinee 30 December 1893. The subject position of music halls and cafés-concerts was that of the upper-working-class or lower-middle-class male. Even the large Queen’s Music Hall, situated in solidly working-class Poplar, assumed the audience would share the values of those social groups. Matthew Hanly, a representative of the London United Workmen’s Committee (established in 1878), informed a Parliamentary Select Committee that the music halls in the East End and south east of London (home to a population of two million) were “considered the great entertainment of the working man and his family.” He gave the example of the Queen’s music hall at Poplar, and then added, “at the present time music halls have reached a very high state of morality, and can compare very favourably with the theatres” (Minutes of Evidence, 1892: 327). The performers themselves were of a mixed class background: of the lions comiques in London, for example, George Leybourne had been a mechanic and the Great MacDermott a bricklayer, but the Great Vance was formerly a solicitor’s clerk. The toff or “swell” character of the 1860s appealed to socially aspiring lower-middle-class males. Leybourne, the most acclaimed of the swells, was given a contract in 1868, at the height of his success with the song “Champagne Charlie,” requiring that he continued his swell persona off stage (Bailey 1986: 50–51, and 1998: 102–104 [song performed by author of this essay]). The swell, however, is double-coded: he might inscribe admiration for wealth and status, but he subverts bourgeois values in celebrating excess and idleness (“A noise all night, in bed all day and swimming in Champagne,” boasts Charlie). In London, the socially-mixed music halls were in the center and attracted bohemian types from the beginning; the working-class halls were in the East End and south London. The music hall audience in London, however, defended its values and behavior when the law was used in a repressive manner, turning up in large numbers at the halls, at law courts and licensing sessions, and writing letters and petitions (Kift, 1996: 183). Indeed, when morality-campaigner Laura Ormiston Chant initiated action in 1894 against the Empire Theatre of Varieties, Leicester Square, claiming that prostitutes frequented its promenade, there was even middle-class resentment. It is a case that challenges the usual assumption of Victorian prudery. Neglected in the above account of music-hall morality is the wholesome presence of entertainers like Harry Clifton and Felix McGlennon who prided themselves on their impeccable repertoire. Moreover, despite the variety of music-hall audiences, and despite the presence at times of subversive elements in the entertainment provided, it must be stressed again that the values most commonly upheld were bourgeois in character. This does not mean that the London bourgeoisie were unanimously in an insistence on moral propriety. Edward Pigott, Examiner of Stage Plays for the Lord Chamberlain, informed the Select Committee on Theatres and Places of Entertainment in 1892, “generally, it is towards the West End of the town, and amongst richer, idler, and more fashionable audiences that a famished manager would prefer to seek in scandal and indecency the means of replenishing an exhausted treasury” (Minutes of Evidence, 1892: 330). The clearest example of coercive control is censorship. Censorship of British music-hall songs was a responsibility given, in the first instance, to the managers. A contract offered to performers at Collins’s Music Hall, Islington Green, required them to present any new song to the management for approval seven days before it was to be sung, and anyone “giving expression to any vulgarity” on stage was subject to instant dismissal (Contract reproduced in Appendix 4 of Minutes of Evidence taken before the Select Committee on Theatres and Places of Entertainment, 1892, 441). Similar rules applied at the Middlesex. If a manager failed to restrain indecent performers, then London County Council could step in and, if it was deemed necessary, withdraw the hall’s licence. The LCC had become responsible for regulating and licensing music halls after the passing of the Local Government Act in 1888. But I whisper’d, ain’t it naughty? She said, Yes, but it’s so nice. The words are innocent enough, but the implication that naughtiness is nice brings with it a sense of moral danger. Another song plays upon fears of a moral threat to women and girls of respectable families. What men could pose a seductive danger in the hallowed middle-class home? For one, the piano tuner. We can only speculate about the parental reaction to the chorus of “The Tuner’s Oppor-tuner-ty” (Adams–Coyne, 1879). At last he tuned whene’er he got an opportunity. Censorship was also blunt weapon when deployed against certain performers, and it is here that we find the more indirect forms of institutional constraints on behaviour coming into play. The music-hall audience had a common understanding of what was acceptable and what was obscene. The institution created common understandings and normative obligations. Obscenity might have been tolerated at the make-shift stages of the “Penny Gaff,” but not in the music hall, and compliance in this matter was assured because obscene behaviour was something that was not even conceived of in this context. It furnishes an example of the kind of compliance without direct constraint that Richard W. Scott sees occurring in those circumstances where alternative behavior is unthinkable (2014: 68). In the music hall, it was innuendo that appealed to a knowing audience, not outright crudity. The difficulty for the law was that suggestiveness was something awkward to pinpoint or prove, and I’ll end with some examples. 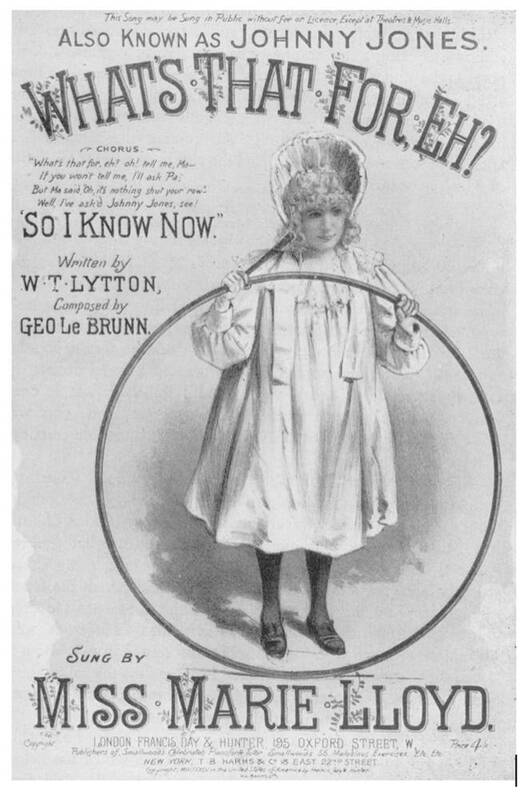 There is no doubt, for example, that it was the way Marie Lloyd performed that had such an impact on her audience—the lack of bodily discipline seen in the gestures, winks, and knowing smiles that she employed to lend suggestiveness to apparently innocent music hall songs, like “What’s That For, Eh?” (Fig. 2). Fig. 2 “What’s That For, Eh?” Words by W. T. Lytton, music by G. Le Brunn (London: Francis, Day & Hunter, 1892. Marie Lloyd sang this song at the Oxford, and it was the subject of a complaint at a meeting of the London County Council in October 1896 (Pennybacker, 1986, 131). However, Marie Lloyd constantly found ways to evade censorship, even when it was clear that she was overstepping the mark. The device of innuendo is found in many of her best-known songs, such as “A Little of What You Fancy Does You Good” (Leigh–Arthurs) and “When I Take My Morning Promenade” (Mills–Scott). In the latter, she concedes that her dress shows her shape just a little bit, but that’s “the little bit the boys admire.” Her song “Twiggy Voo?” (Morton–Le Brunn) is entirely about the role of innuendo in its diverse social contexts. Some of her songs built on innuendo now require a little information to be given beforehand. It was common for prostitutes to avoid entrapment by police officers by using railway metaphors. Wondering how far a client wants to go, could easily be converted into talk about whether you want to get off a one railway station or another further down the line. So, when Marie Lloyd sang songs about the railways, it was never quite what it seemed. One of Lloyd’s songs told of a young woman with no experience of the railways: the title was “She’d Never Had Her Ticket Punched Before.” The moral outrage felt by some people can easily be imagined, but it is far more difficult to say what they could have done about it. The words are absolutely harmless, and she would have argued—she always did—that those who protested about the vulgarity of her songs merely made their own filthy minds public. Marie Lloyd’s career illustrates the complex manner in which institutional power operated directly and indirectly. She achieved the highest stardom in the institution of music hall, and she may have seemed to have succeeded in always having her own way. However, when a shift in the institution’s quest for respectability led to the production of the very first Royal Variety Show in 1912, with royalty present, she was denied the opportunity to perform. Yet, saucy songs, of varying degrees of vulgarity, had continued unabated in the Edwardian music hall, an example being “Has Anybody Seen My Tiddler?” (Mills and Carter, 1910). Royal Variety Shows were not going to put a stop to something so characteristic of the music hall. Indeed, such songs clearly informed the repertoire of later variety artists like George Formby, whose father (of the same name) was a music hall entertainer. The music hall an arena for negotiation between working-class and middle-class values. The Music-Hall Cockney: Flesh and Blood, or Replicant? Bailey, Peter. “Champagne Charlie: Performance and Ideology in the Music Hall Swell Song.” In Jacqueline S. Bratton, ed., Music Hall: Performance and Style. Milton Keynes: Open University Press, 1986. 49–69. Bailey, Peter. Leisure and Class in Victorian England: Rational Recreation and the Contest for Control, 1830–1885. London: Methuen, 1987. (Originally published by Routledge and Kegan Paul, 1978). Bailey, Peter. Popular Culture and Performance in the Victorian City. Cambridge: Cambridge University Press, 1998. Höher, Dagmar. 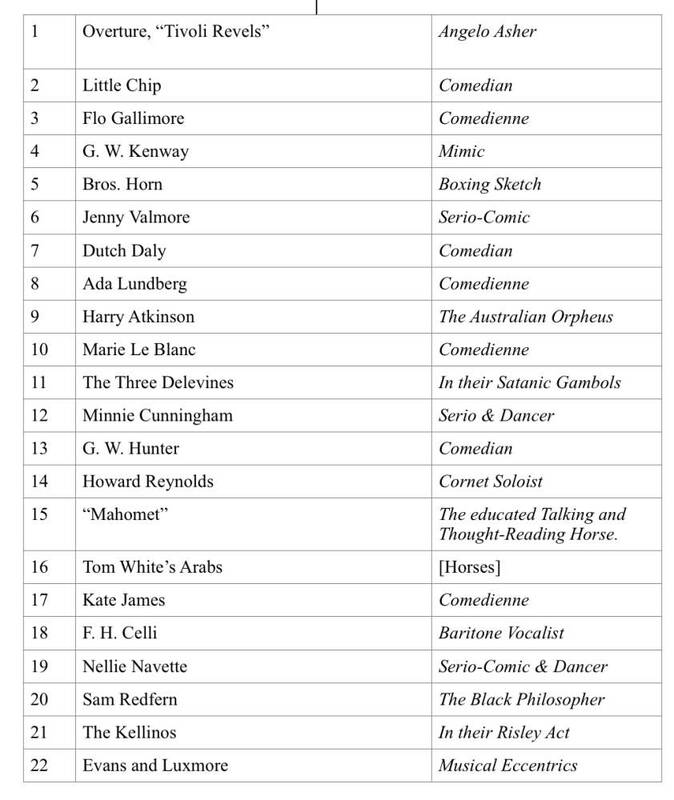 “The Composition of Music Hall Audiences.” In Peter Bailey, ed., Music Hall: The Business of Pleasure. Milton Keynes: Open University Press, 1986. 73–92. Minutes of Evidence. Taken before the Select Committee on Theatres and Places of Entertainment. London: Eyre & Spottiswoode for HMSO, 1892. Pennybacker, Susan. 1986. “‘It was not what she said, but the way in which she said it’: The London County Council and the Music Hall.” In Peter Bailey, ed., Music Hall: The Business of Pleasure. Milton Keynes: Open University Press. 118–40. Powell, W. W., and P. J. Di Maggio, eds. 1991. The New Institutionalism in Organizational Analysis. Chicago: University of Chicago Press. Russell, D. “Varieties of Life: The Making of the Edwardian Music Hall.” In M. R. Booth and J. H. Kaplan, eds, The Edwardian Theatre: Essays on Performance and the Stage. Cambridge: Cambridge University Press, 1996. 61–85. Richard W. Scott. Institutions and Organizations: Ideas, Interests, and Identities. 4th ed. Thousand Oaks, CA: Sage, 2014. Short, E. Sixty Years of Theatre. London: Eyre & Spottiswoode, 1951.